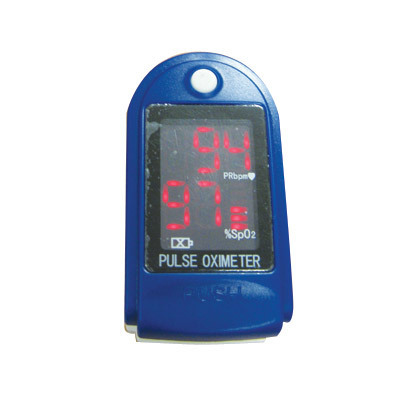 An essential tool within medical environments and those caring for vulnerable patients, our Finger Pulse Oximeter is a lightweight and portable addition to your repertoire. Designed to effectively detect SPO2 (oxygen saturation level) and pules rates through the finger, eliminating the need for blood removal. Operated solely from a single push button which allows you to enter the function menu, this device is also fitted with a true colour LED display that allows all health care professionals to assess all information. Without the need for clinical cleansing, the pulse oximeter can be used repeatedly and in quick succession between patients while the silicone padding allows it to be used for all ages between paediatric through to adult. An on/off function switches the battery off after 8 seconds of standby to preserve power. We have a wide range of Medical Equipment for all needs including Medical Thermometers, Nebulisers and even Blood Pressure Monitors at exceptional wholesale prices.